A classic 9ct yellow gold chain with solid curb links. The ideal gift, for any occasion, this chain is an ideal accompaniment to any look. 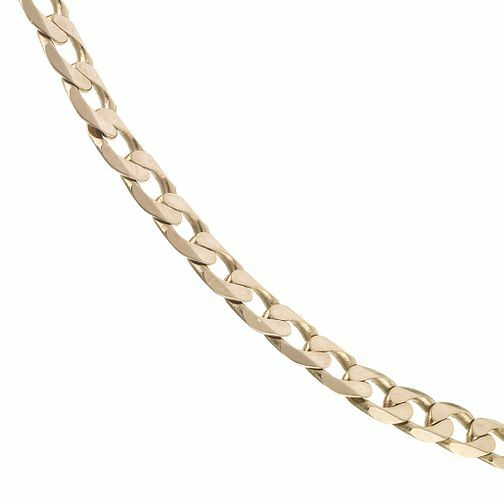 9ct Yellow Gold 22" Curb Chain Necklace is rated 5.0 out of 5 by 2. Rated 5 out of 5 by Anonymous from Gold chain Nice chain, solid and strong, bought for a partner who is happy with the gift.